This is a busy time of year for everyone, both personally and professionally. There are social and family commitments, professional activities, study and of course our normal work responsibilities. So when SLA announced their Time Hacks: Managing Day to Day and Long Term Projects webinar on time management I signed up. I'm as guilty as anyone of taking on too much sometimes so I thought that the webinar would be a good place to pick up some tips on how to stay sane! find a way to manage your email. Use filters to direct certain messages away from your inbox. Be ruthless! distract yourself with shiny things to make mundane tasks more enjoyable. 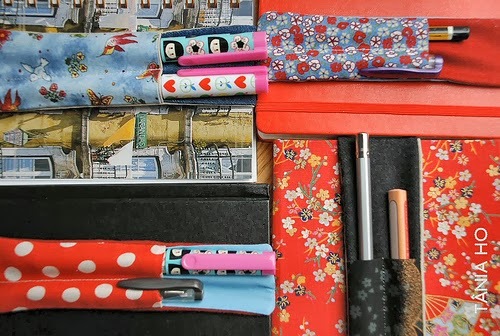 Anyone who knows me will tell you that I have a slight obsession with stationary and probably keep the local branch of Paperchase in business. Having a nice notebook and pen to do your work can trick your brain into thinking that the task is more fun than it is. Works for me anyway! I think the thing that struck me most was the portion of the webinar about making time. The presenters were keen to stress that although everyone has demands on their time the key thing to do is to make time for what's important to you. What are you doing? - what takes up your time at the moment? Learn to expect good enough rather than perfection! Maybe limit how many things I get involved with – three a year? You can then use the table to decide what you do less of, more of, what you could ask for help with, do differently or relax about. I found this a really useful exercise which I think will help with my time management in the future as I try out new projects. Remember that time is not the only impacting when things get done. If you feel burdened with something then it's likely that it will take you longer to complete than something you enjoy. Of course, there are some things we don't like that we can't avoid doing but maybe this should be a lesson in only undertaking the projects that are important to us in our own time. I think that this is the most important thing I'm going to take away from the webinar and it will certainly influence my choice of projects in the future. Really useful ideas here Claire - must make use of some of these tips. I'm all too guilty of taking on too much. Thanks, I'm glad it's useful. Many of the people I know in the library world are guilty of taking on too much but we just don't seem to be able to stop ourselves! Hopefully the tips from the webinar will make things a bit easier for people. Hi Kirsten, I'm glad they're helpful. I'd really recommend trying to watch the original webinar. I think it should be available online by now.